This Silver Cello Case from Sinfonica features a new lightweight, fibreglass design making it much easier to carry your cello with you. 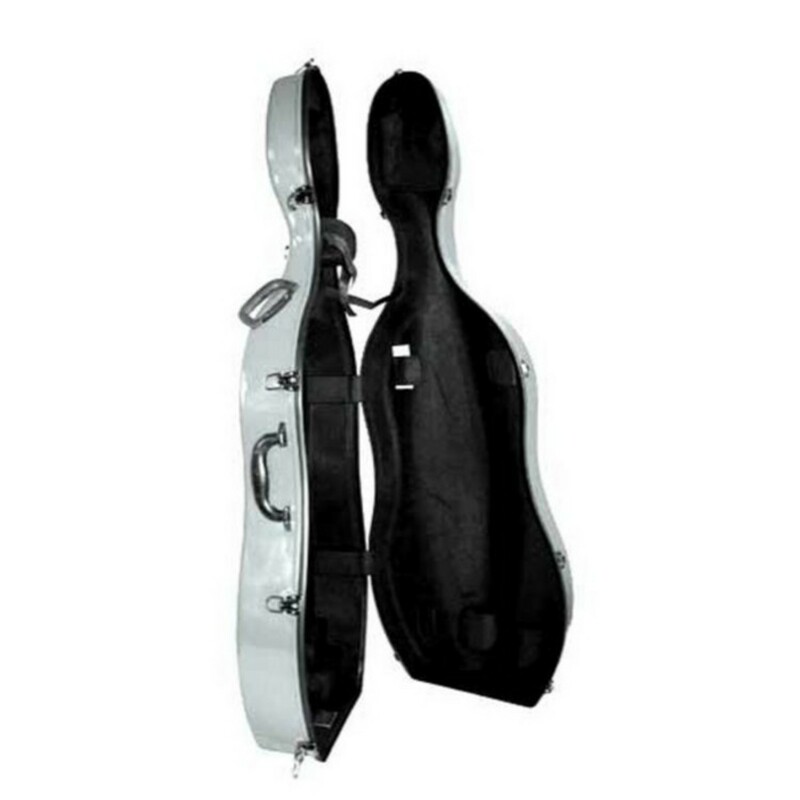 Keep you cello close, safe and protected with this padded, hardshell case. 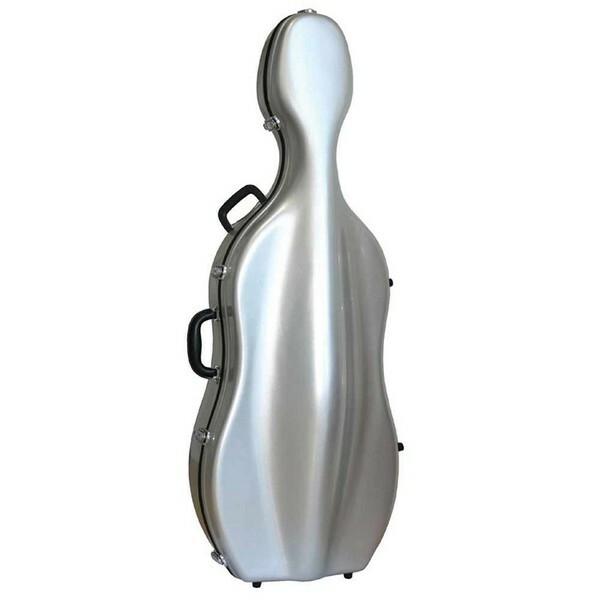 This full size Cello Case has a lightweight fibreglass shell for the best protection and optimum portability. The carry handles, back pack straps, wheels and rubber feet help you transport and stand the case up safely and this wheeled version features an extra carry handle in the head of the case. The fully lined interior features a padded suspension system for a secure fit. The case also features a metal spike plate and hygrometer.